Saudi Arabia, January 6, 2019 - Saudi Arabia’s maritime sector is set to receive a much-needed boost with a generous allocation of SAR 33 billion (USD 8.8 billion) for the energy, industry, mining and logistics sectors in its recently announced budget for 2019. In fact, the country is on an aggressive growth and diversification path, with substantial government spending expected to catalyze its ‘Vision 2030’ goals and drive sustainable growth and development. On the back of strong growth, revenues in the Kingdom are also projected to increase this year to SAR 975 billion, setting an optimistic blueprint for exponential growth and progress. 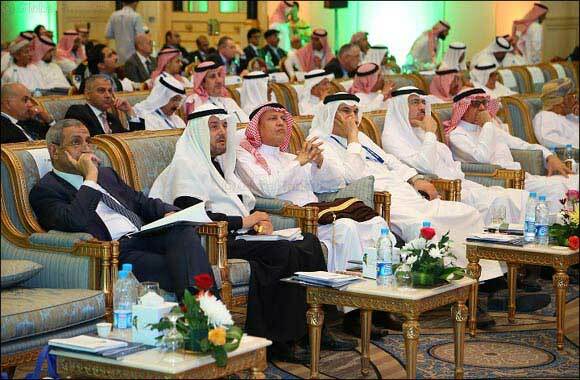 The 2nd Saudi Maritime Congress, to be held on March 11th and 12th at the Four Seasons Hotel Riyadh, Kingdom Centre, Riyadh, Saudi Arabia, will closely examine these budgetary implications on this sector, focus on the growth of intra-regional trade and the booming north-south network, analyse the changing regulatory environment and study existing project opportunities. Held under the patronage of the Saudi Ports Authority (MAWANI) and in partnership with Bahri, the event is also expected to set new trends in the shipping and logistics industry, providing extraordinary insights into the country’s ambitious growth agenda and consolidate Saudi Arabia’s position as a global trading hub and a strategic gateway to Asia, Africa and Europe. For two days, international experts, influential maritime leaders and professionals from the shipping, ports and offshore marine companies will do business, forge new partnerships and discuss key market and sectoral insights, to fast track growth and development in this vital industry. The Saudi Maritime Congress will provide an ideal platform for discussing with key players the future direction of maritime and logistics policy in the Kingdom and for showcasing the commercial and investment opportunities which this ambitious pathway towards sustainable development represents.